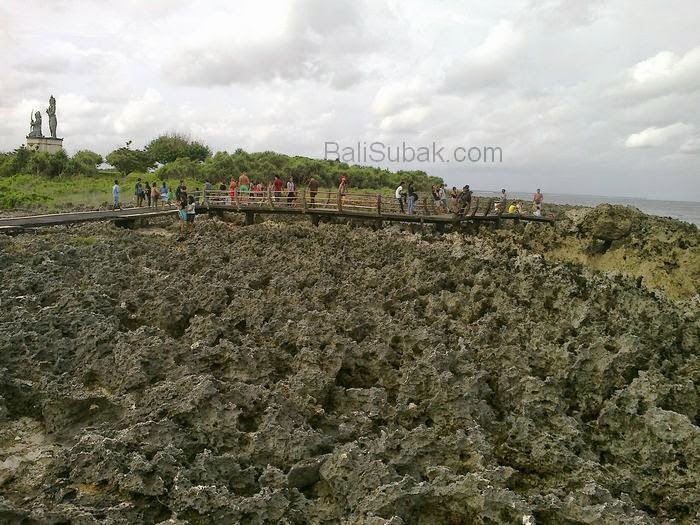 Attraction of Water Blow originally just a cluster of rocks at Nusa Dua Beach in Bali Indonesia. 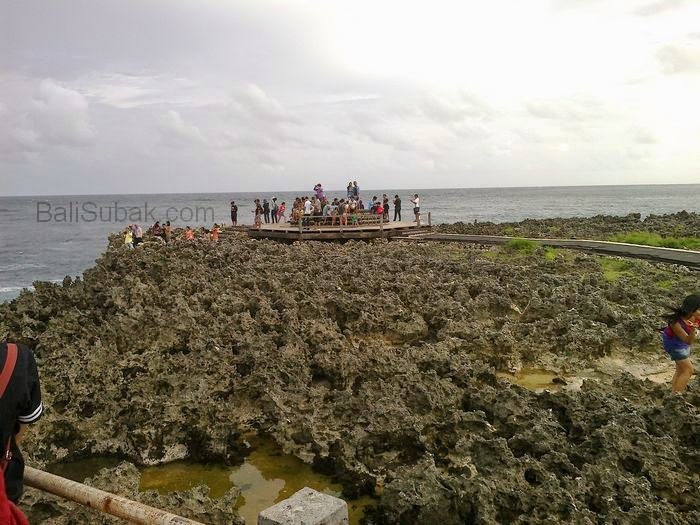 Cluster of rocks is a great fishing location for local residents. The coral reef stretches from east to west, is not extensive, but quite long if explored on foot. 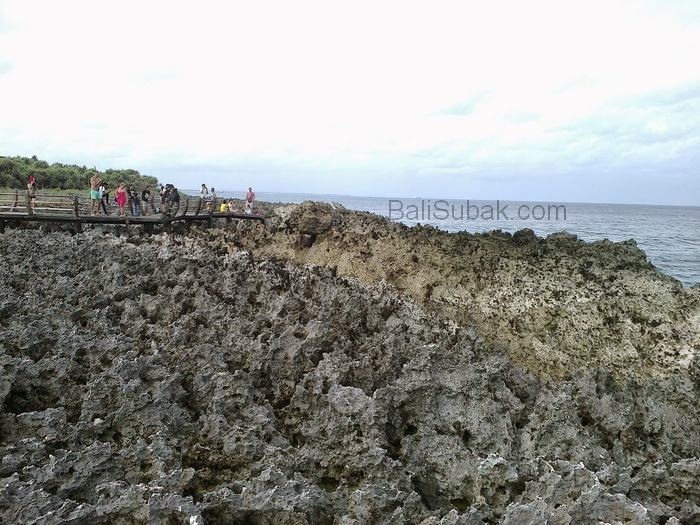 Attractions of Water Blow at Nusa Dua Beach is increasingly well known since the video on YouTube, which shows the enormity of the sea waves hitting the rocks. Sea waves in attraction of Water Blow able to make people spellbound. But required the right to be able to see the ocean waves that burst upward. There are many videos on Youtube that shows awesomeness sea water gushed up. Sea waves hitting the rocks, and water jets soaring. Video circulating on Youtube able to impress the people who see it. The video was not only one, but there are a lot of video. 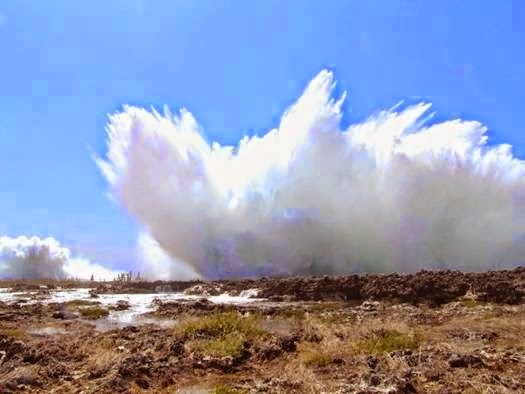 Not only is the video, there are a lot of pictures circulating on the Internet that show the beauty of the sea waves bursts attraction of Water Blow. 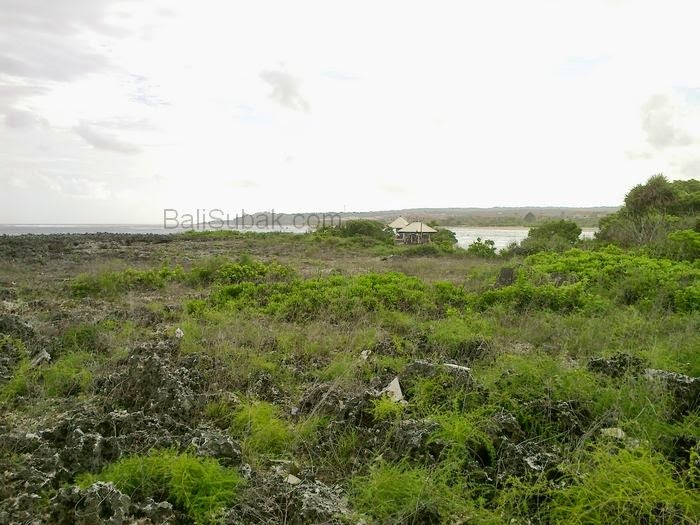 Many images uploaded by tourists who 've been to Nusa Dua. Most of the images showed a large spray of water rises up, very high like a huge bomb explosion. 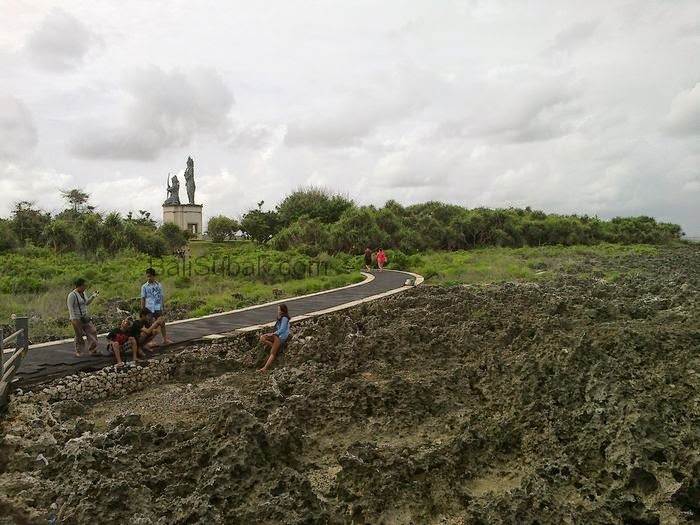 If you want to visit attractions of Water Blow at Nusa Dua Beach, Bali Indonesia, you should visit the south wind season. Approximately in March to October. For the south wind will lead to the sea water coral reefs, and struck the rock, resulting in a huge blast of water. Large waves occur when the wind is blowing from the south. 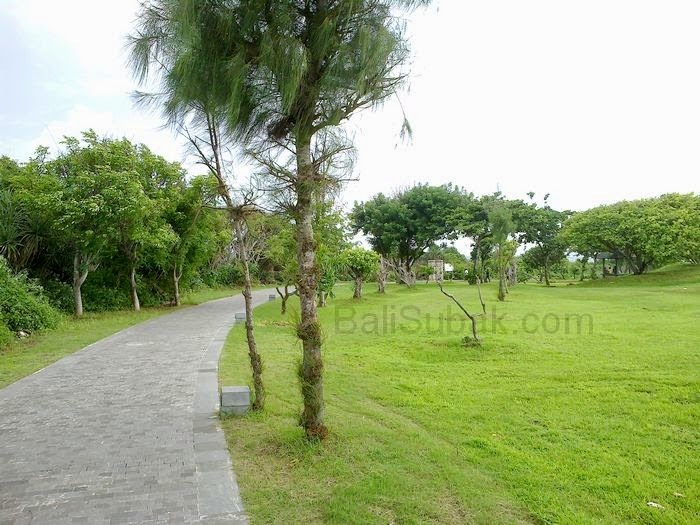 However, very crowded by tourists visiting Bali at the end of the year and the new of year. While the south wind only occur in March and October. So no big waves of the sea, to be able to hit very hard on a rock. If there are no ocean waves hit very hard, then there will be no bursts of sea water, in attraction of Water Blow. 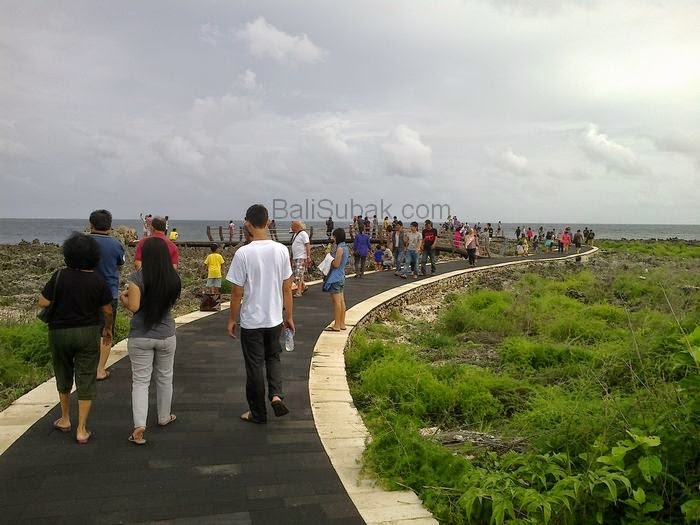 The path to the sea where the water bursts occurred at Water Blow used by tourists for a jogging track. 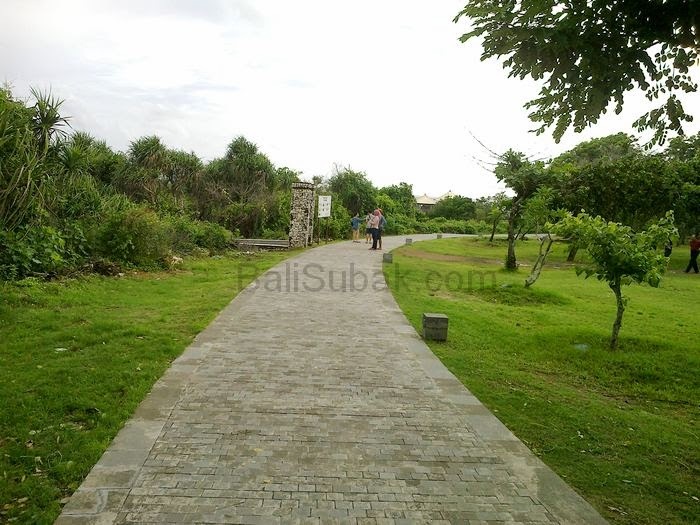 Tourists who stay in Nusa Dua, using attraction of Water Blow area as a place for jogging. 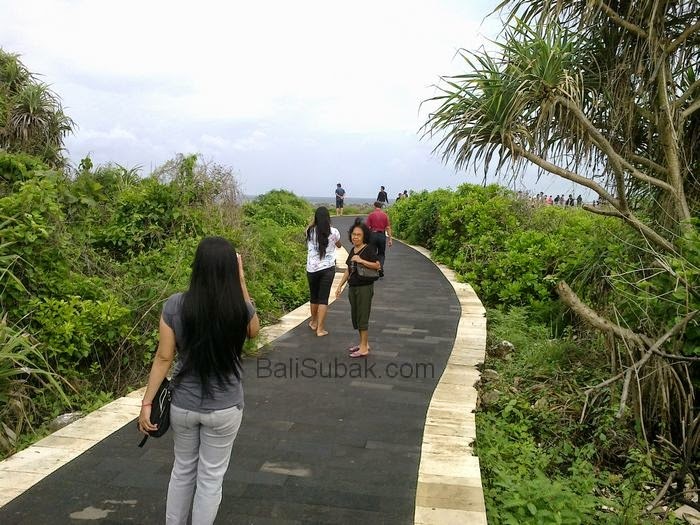 Not only tourists, but also by local people who want to jog while getting some fresh air. 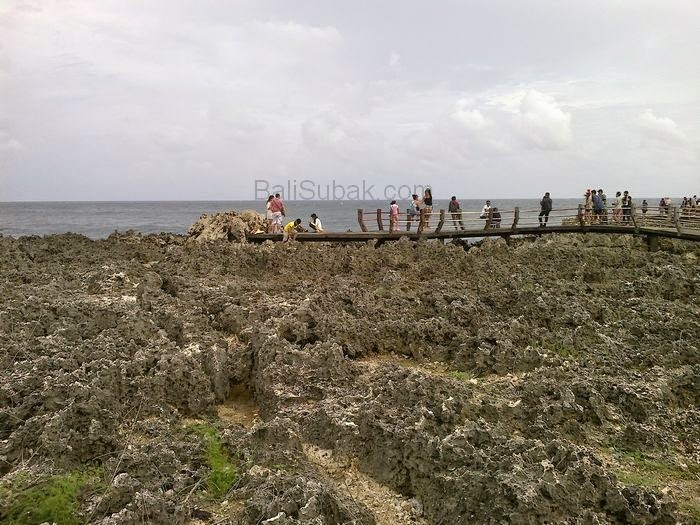 Locals residents are also very fond of the cluster of rocks that exist in the attraction of Water Blow. This location is perfect for a spot of fishing. 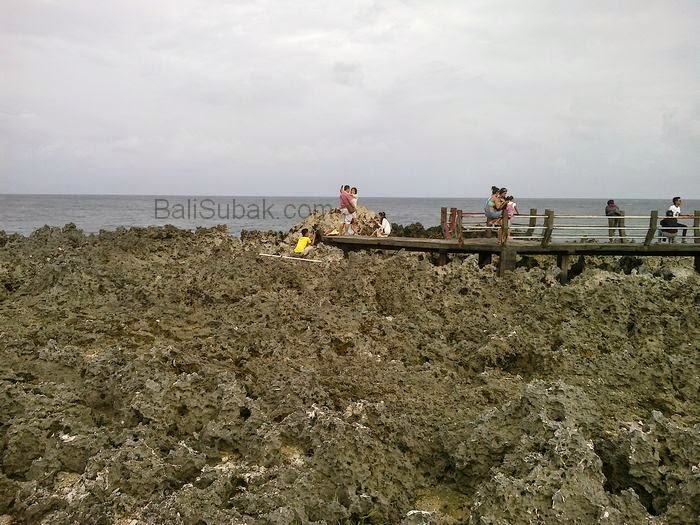 According to local residents, in the sea area of ​​Water Blow has a lot of fish. Many people who like fishing must know with this location. Strongly advised to be careful while in attraction of Water Blow. Based on the stories of local residents, the area is very haunted. This was evidenced by the existence of a temple to the west of the rock. The temple that was in place a sign that the attraction of Water Blow is very austere, as told by local residents.